Kent Police force is facing the threat of legal action over the fatal shooting of a woman. 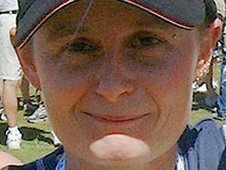 Ann Sanderson, 37, was shot dead by an armed officer in the car park of a department store in Sevenoaks following a stand-off with officers in June 2007. A post-mortem examination revealed that Ms Sanderson, of Bethel Road, and known as Tosh to friends, died from a single gunshot wound to the chest. Kent Police said it had been served with a copy of a High Court claim form. The force said the papers had been served by lawyers acting on behalf of the administrators of Ms Sanderson's estate. It said it would not be commenting further. The Independent Police Complaints Commission (IPCC) carried out an investigation into Ms Sanderson's death. A report into the incident has been seen by her family and Kent Police. The IPCC said it would make the document public once an inquest into Ms Sanderson's death had taken place. London-born Ms Sanderson is thought to be the first woman shot dead by UK police for nearly 27 years. North West Kent coroner Roger Hatch opened and adjourned an inquest into her death on 14 June.